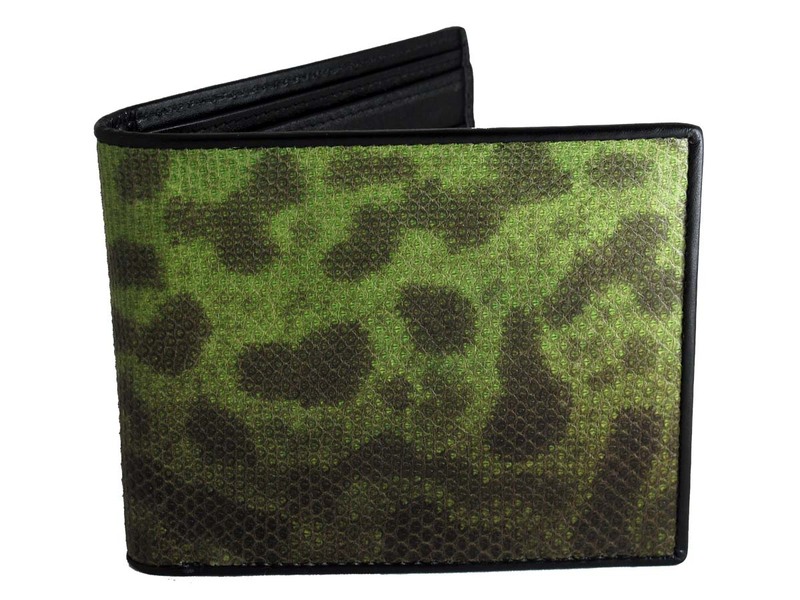 Yeah Baby…… check out these funky wallets for men. 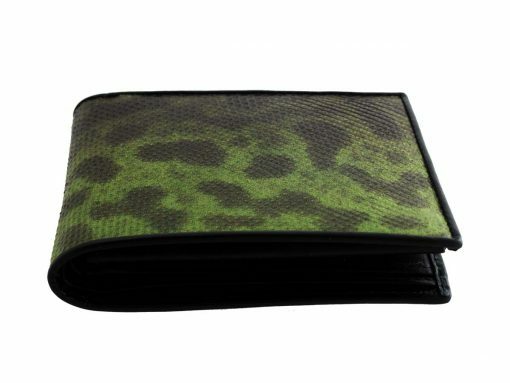 Featuring the distinctive all natural camouflage pattern from a “Karung” or “Trunk snake”. 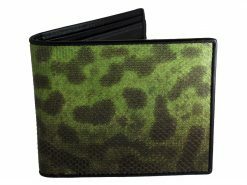 A wallet like this is sure to attract attention and get your pals “green eyed” with envy. 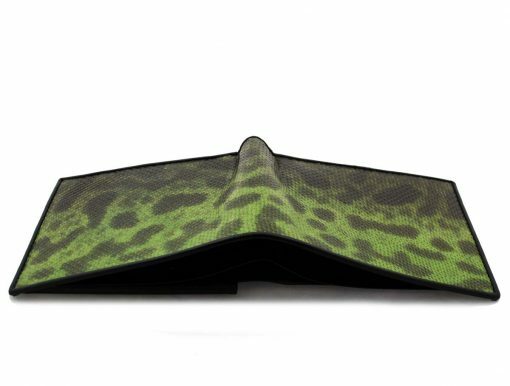 Tanned a camo green color with a calf skin interior and trim. 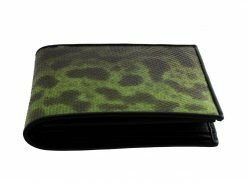 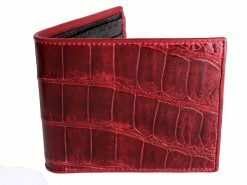 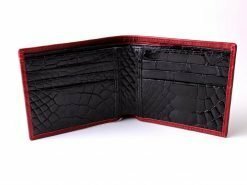 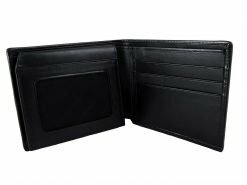 Snake is so instantly recognizable as an exotic skin and a very affordable way to break away from the tedium of cow leather wallets. A great casual weekend wallet that would look great in any situation especially out hunting.